Enjoy a relaxing evening on Billington Sea with our knowledgeable tour guides. Explore our magestic shoreline, spot wildlife, watch a suntset or experience the full moon. Bring your family and friends along for a great time! 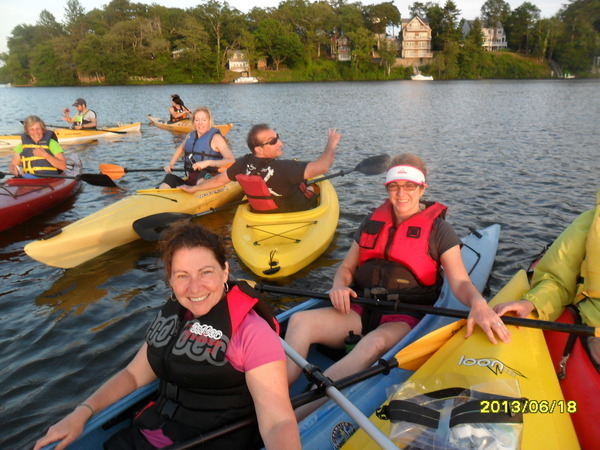 A liesurely kayak tour of Billington Sea with a sunset backdrop. 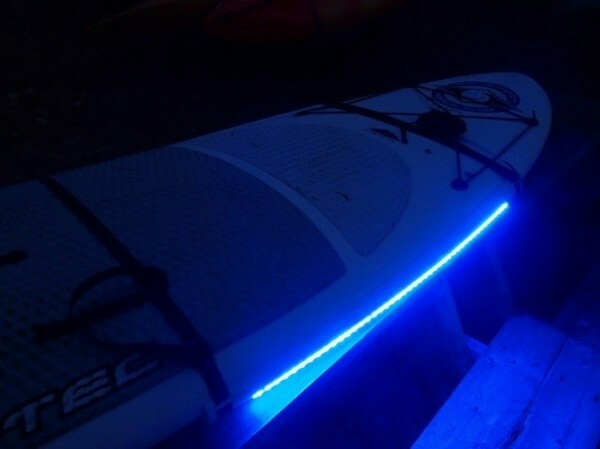 Venture out after dark on a glowing paddleboard! 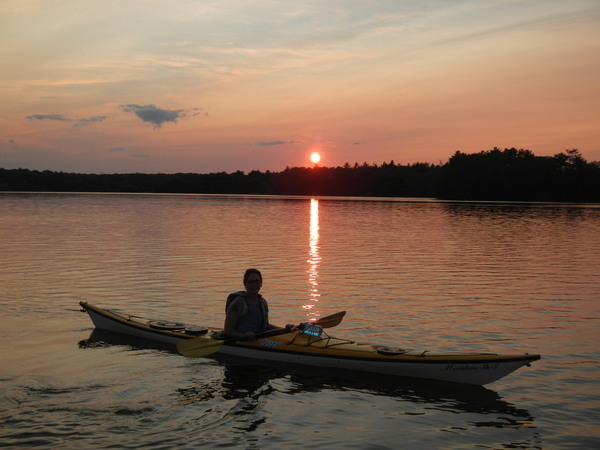 Watch the sunset and moon rise then join us for a campfire at our boathouse. *Seasonal* Join us as we explore the lake and surrounding woods in search of the elusive Lady Slipper. *Seasonal* Enjoy the fall colors by land and sea. 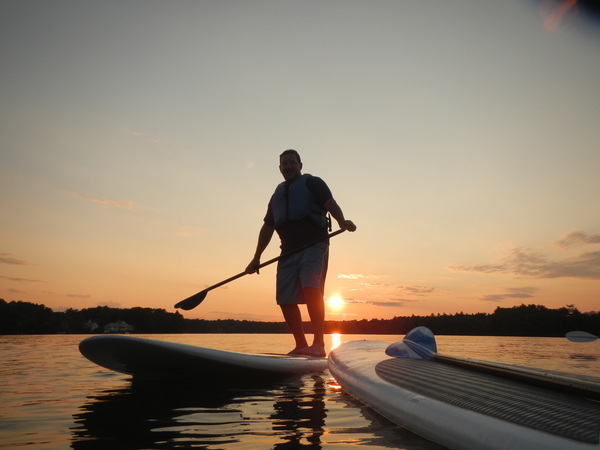 Take in a Billington sunset from the deck of a SUP.